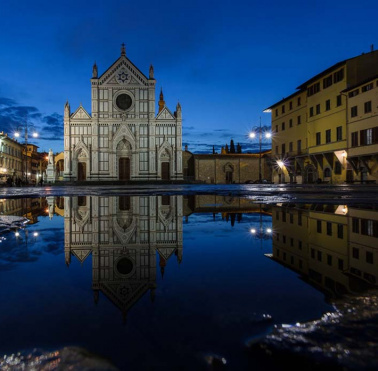 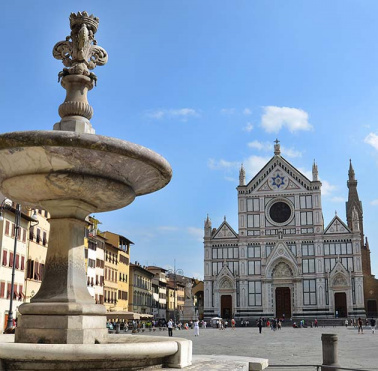 The Basilica of Santa Croce in Florence is one of the most harmonious examples of the Florentine Renaissance. 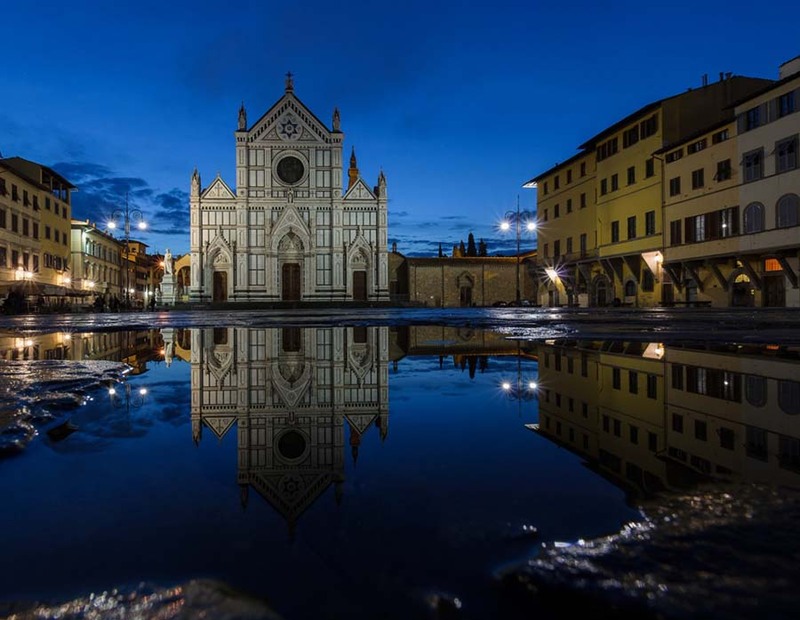 The Basilica is generally attributed to Arnolfo di Cambio and was built starting from 1295 on the site where there was already an oratory of Franciscan Friars. 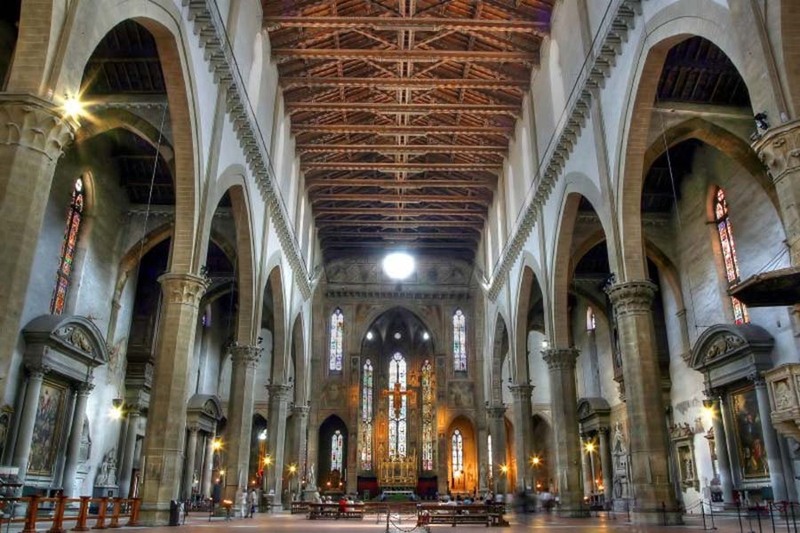 The plan of the Basilica is in the form of an Egyptian cross, with a visible wooden roof, supported by pointed arches. 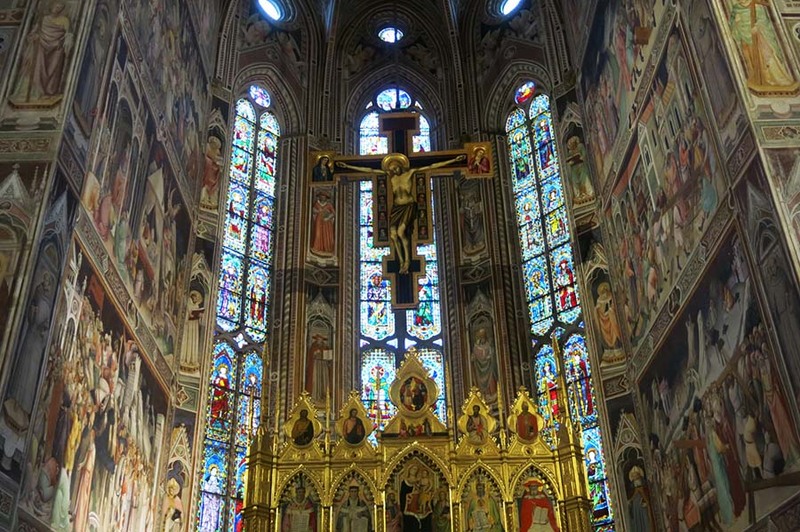 Over the centuries the great flourishing families took on the task and the honor of decorating the numerous side chapels. 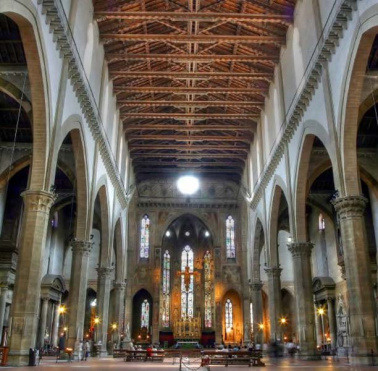 For example, the bankers Bardi and Peruzzi commissioned Giotto to create paintings for the chapels of their families, a decoration still visible today and executed between 1320 and 1325. 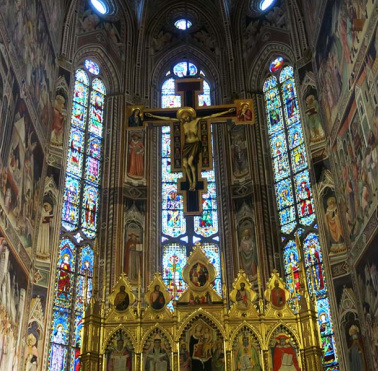 Other parts were painted by Andrea Orcagna, Giovanni da Milano, Niccolò di Pietro Gerini and Agnolo Gaddi. 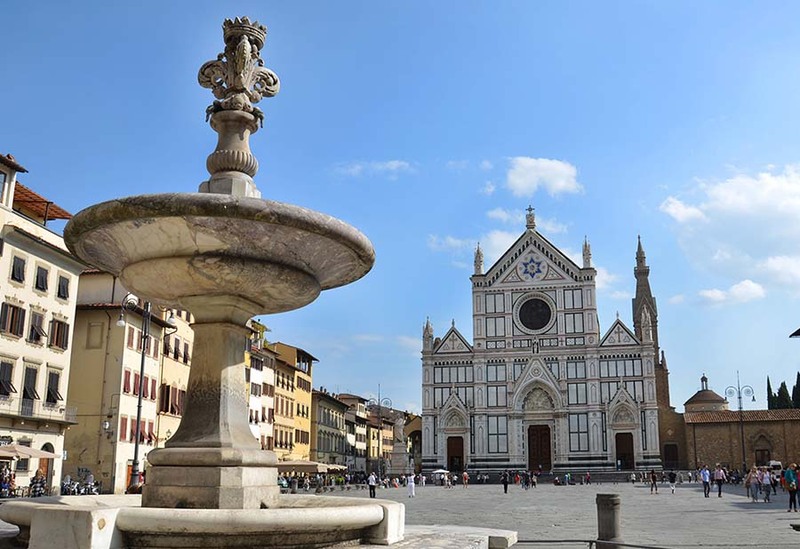 Inside, the Basilica of Santa Croce houses the famous "Cappella dei Pazzi" which owes its name to the commissioner of the work, Andrea de 'Pazzi; the chapel is actually the chapter house of the Basilica, designed and partly built by Filippo Brunelleschi. 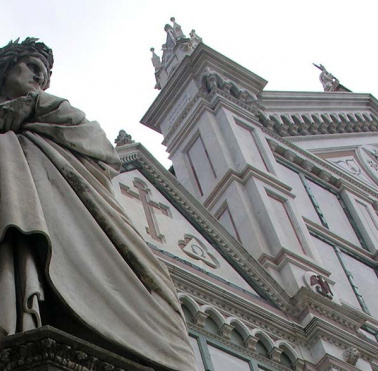 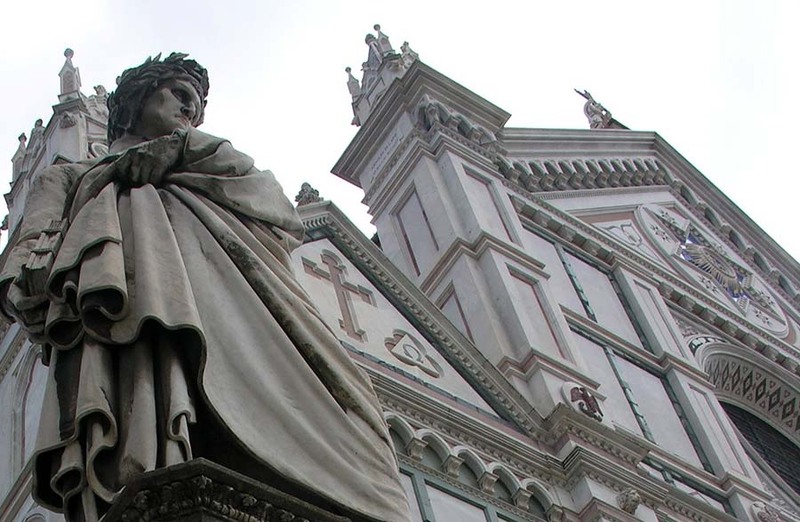 The Basilica of Santa Croce also houses the tomb of Dante Alighieri.